Structurally and thematically, Dario Argento’s The Cat O’ Nine Tails is an improvement over The Bird With the Crystal Plumage, even if the film’s non-linear convolutions of plot may purposefully distract. Set against a backdrop of genetic research and espionage, Argento’s formal obsession with allusions to seeing and sightlessness is on fierce display. Franco “Cookie” Arno (Karl Malden), a blind former journalist with an affinity for crossword puzzles, walks along a street adjacent to the Terzi Institute with his young niece, Lori (Cinzia De Carolis). Passing a sleek red vehicle, Arno overhears part of a suspicious conversation between two mysterious figures: “I’m not interested in blackmailing you. I have to pass on the information.” Lori becomes the substitute for Arno’s eyes, describing one of the men in the car but noting that she can’t see the face of the other. Not only does the film’s opening shot atop the Institute’s roof startlingly anticipates the film’s final scene but it also establishes that Arno’s blindness should not be taken as a mere plot contrivance—it is instead a rich composite of Argento’s framework of allusions to the eye. At the Terzi Institute, research is being completed on both an experimental drug and a highly confidential investigation into the chromosome alteration XXY, which indicates criminal tendency in the individual. In her book Broken Mirrors/Broken Minds: The Dark Dreams of Dario Argento, Maitland McDonagh discusses how that the film’s camerawork invokes Argento’s thematic concerns with the impossibilities of sight. The film’s faceless killer breaks into the Institute, committing a burglary (what is stolen remains a secret to everyone, including the spectator) with considerable detail. McDonagh says of the scene: “What has not been seen—concealed in the blind spot of the camera-as-thief point of view (which is to say, what happens behind the lens) is the thief’s face, as well as the object that has been stolen. The how of the crime has been explored at length, while the why and by whom remain tantalizingly obscure.” Soon after the Institute is burglarized, Doctor Calabresi (Carlo Alighiero)—the man in the car that Lori identified—is pushed to his death in front of a train. More important than the delirious method with which Argento directs this set piece are the rich allusions he makes to the eye (ours, the killer’s and, ultimately, that of the film camera). Cat O’ Nine Tails begins Argento’s lifelong fascination with the grotesque close-up. Similar to the pulsating brain of Opera‘s killer, the eye of Cat O’ Nine Tails‘s perpetrator comes to embody deep-rooted despair—more simply, it’s also a reminder of the killer’s near omniscience. Even before the eye of Calabresi’s killer is shown dilating on the screen, his murderous presence is already hinted at through a clever signifier: an advertisement with a large eye as its logo. With the help of reporter Carlo Giordani (James Franciscus), Arno hopes to solve the mystery of “The Cat O’ Nine Tails” (the film’s title is trivially explained during a later scene). It is here that the film begins to echo Michelangelo Antonioni’s Blowup (which Argento unofficially remade as Deep Red). In Blowup, Antonioni’s protagonist is obsessed with the truth lies buried inside a photograph he took of a crime scene. Photographs make recurring appearances in Argento films. The photographs in Cat O’ Nine Tails become Argento’s objective representation of the truth. Reporters prepare to take photographs of a starlet about to board the train that kills Calabresi. After taking a picture of Calabresi falling onto the tracks (here, the camera sees and records the truth), the reporters search for their wayward starlet. The blond bombshell poses for the camera as a reporter comments, “That’s right. Smile. Smile. A man is dead.” Not only is this priceless self-criticism from a paparazzo (incidentally, Blowup‘s protagonist is a female-hungry fashion photographer), Argento seemingly pokes the spectator for enjoying Calabresi’s remarkably staged demise. Argento later makes expert use of the colors inside the red room operated by a newspaper worker in charge of blowing up the picture of Calabresi’s death. The photograph reveals the killer’s hands and as the film’s murder count rises, usual suspects are introduced: Doctor Braun (Horst Frank), a highbrow homosexual engaged in espionage with Calabresi’s fiancée, Bianca (Rada Rassimov); Anna Terzi (Catherine Spaak), the lascivious adopted daughter of the Institute’s owner (Tino Carraro); and Doctor Casoni (Aldo Reggiani), a genius with an unusual fondness for the XYY chromosome configuration. 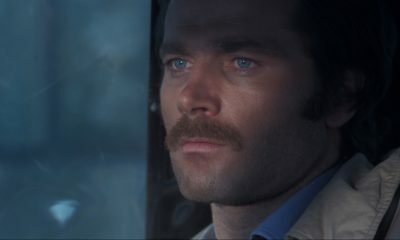 Argento avoids an easy trap by not revealing the homosexual character as the film’s killer though Braun seems to implicate himself (at least to the careful spectator) when he seduces Carlo by saying that the reporter/detective has beautiful eyes. Braun doesn’t stand out of as a particularly offensive gay construct. Like Anna, Braun is no less defined by his sexuality than any other typically “perverted” Argento character. The jealous ex-boyfriend of Braun’s lover gives Braun’s address to a desperate Carlo. While the nameless man may be a prissy gay archetype (he threatens to kill himself if his lover Manuel doesn’t return to him), Argento avoids insult with one clever line: “You probably think I’m despicable.” The man is less ashamed of his sexuality than he is concerned that Carlo might judge him for being a snitch. Not unlike what he accomplished with a transvestite’s appearance in The Bird With the Crystal Plumage, Argento has carefully made a distinction between sexuality and criminal pathology. Early in the film, a sequence fabulously hints at Doctor Casoni guilt. When Carlo visits the doctor’s office, Casoni stands before a series of chromosomal charts. Similar to an eye doctor’s sight chart, Casoni’s chart shows the letters x and y in a series of pyramid formations. Argento’s ever-gliding camera recalls Fassbinder’s as it slithers smoothly from left to right, positioning Casoni before the charts that fascinatingly implicates him in the film’s murders. Like Tenebre and Deep Red, Cat O’ Nine Tails showcases Argento’s formal obsession with the disorienting effects of architecture and interior design. 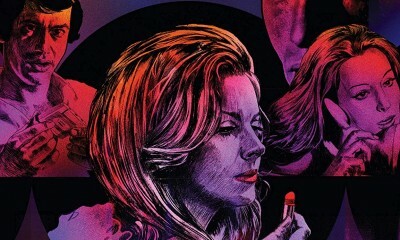 Thanks in part to the garish décor of the film’s ‘70s milieu, Bianca’s fabulous death recalls both Jesús Franco’s Vampyros Lesbos and Polanski’s Repulsion. Most glorious, though, is the film’s final scene, where Casoni and Carlo come face to face atop the Institute’s roof. Here, Argento toys with the disorienting nature of the roof’s ridges. Even when Casoni is revealed to be the film’s murderer, Argento refuses to view his actions as a result of some sort of chromosomal disfigurement. Casoni was merely concerned with what the results of the genome project would mean for his career. Casoni kidnaps the young Lori and hides her inside a room at the Institute inhabited by a family of rats. Lori’s childhood seems to go hand-in-hand with her innocence—she calls Arno “Cookie” because “cookies are sweet and, besides, I like them with chocolate milk.” The film’s open-ended finale suggests that Lori may have actually died before she could ever develop the kind of killer instinct that motivates so many of Argento’s monsters. Casoni stabs Carlo after threatening to cut Lori’s throat. Outside, Arno encounters Casoni, demanding to know what happened to his Lori. Casoni replies, “Dead. I killed her.” Is it possible that Casoni finished off Lori and Carlo before leaving the room? The film ends after Casoni falls down an elevator shaft just as Lori is heard repeatedly yelling out for her Cookie. The genius of this conclusion is twofold. Argento stays on the image of the deep elevator shaft—we smile at Casoni’s spectacular death yet we toy with the possibility that Lori and Carlo could have been his last victims.